I’m waiting. Waiting for chickens, waiting for spring crocus, waiting for signs of spring, which is a good four months away. 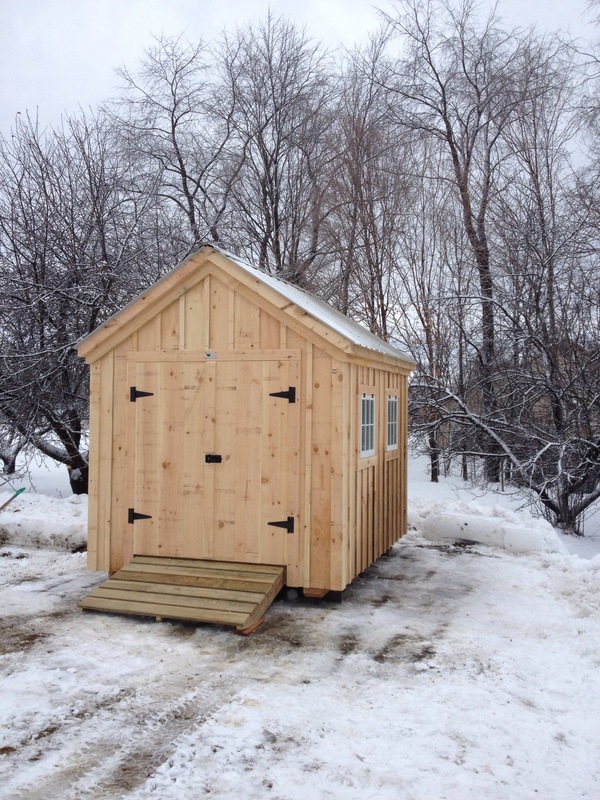 Tonight, on the way back to the house from setting our trash bins out by the road for pick up in the morning, I stepped into the new shed that will be my chicken coop and breathed in the scent of fresh wooden boards. I could close my eyes and smell spring in the scent of the newly cut wood. I took in the quiet, and the smell of pine and then I backed out and shut the door securely, closing it up against the freezing rain we are currently getting. It’s dry and secure, and in a few months will be home to chickens, with their quiet rustles and fluff, their sharp eyes and definite chicken opinions. I received a tracking alert for a package shipped from the company I ordered the chicks from, and I think its just the brooder and some supplies and not the chickens themselves (surely they would give me a call before shipping 25 chicks in the dead of winter, surely they won’t arrive until later in the spring…?) but I wonder if I might receive a call from the Post Office at 5:30 AM with baby chicks in the background. I doubt it is likely, but I do wonder if it is a possibility. I’ve read that it’s the anticipation of things, the preparation and the planning that can be just as good as the actuality of doing something new or arriving at something long awaited. This probably does apply in many cases, but I’d rather have spring and crocus and chickens now rather than four months down the road… At the same time, I’d like warmer weather a little closer before any baby chicks arrive. Crossing my fingers! Good luck with your new chickens! I love mine! Thank you! Nice to hear from another chicken enthusiast. All good luck and well wishes appreciated! Yes, definitely too cold for baby chicks. When they do arrive (later this spring), they will go into a brooder with a heat source, and be kept very warm. I’d expect their feathers come in around a month later, still with a heat source, but I will gradually acclimate them to more realistic temperatures. Then I saw your coop. WOW! Um, yes, the shed-soon-to-be-coop is probably a bit much. Reason being, I wish it were an entire barn, but I don’t have a barn. Someday! Chicken tractors are great, I’m trying to decide what sort of enclosure to use when they are not roaming as I hope they will be able to (hawk and predator pressure depending).